The epidermal layer of skin reacts to repetitive mechanical trauma by thickening up (hypertrophy), with an accumulation (hyperkeratosis) of dead cells (keratinocytes) sticking to the skin surface. The appearance is called lichenification by dermatologists. 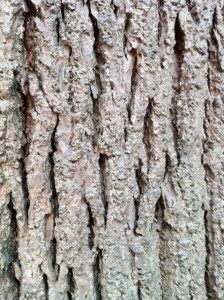 The similarity to the bark of a tree (see above) is striking, with the epidermal hypertrophy causing normal skin markings to become very pronounced, sometimes with cracks and fissures appearing. The term is one of the descriptive terms used in dermatology. A lichenoid change to epidermal cells refers to the dead surface cells becoming tightly adherent to the surface of the skin. The final result is likened to lichen growing on the bark a tree: lichens are composite organisms formed by a fungus, and usually a green alga, coexisting. Apart from the appearance however, there is no connexion between lichens, and skin diseases! 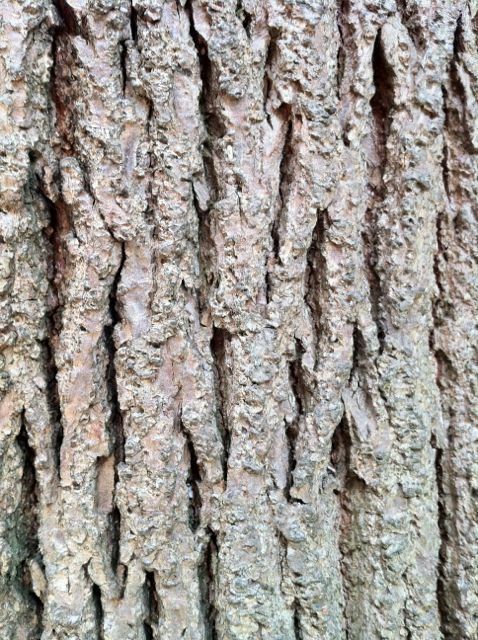 Scratching and rubbing the skin on a regular basis over time will produce lichenification. It is commonly seen in chronic atopic eczema. Other skin conditions showing the effect include neurodermatitis, lichen simplex and nodular prurigo. The reaction of skin to repetitive mechanical trauma seems to represent a protective function. The formation of corns and callouses on the feet through wearing poorly fitting shoes and boots is a common experience. In chronic eczema lichenification is however associated with increased susceptibility to acute eczema flare-ups. The thickened skin seems relatively unstable and sensitive, compared with healthy skin. The Combined Approach to atopic eczema is a successful treatment for chronic eczema, leaving then the healthy skin much more responsive to optimal topical treatment when acute relapses occur. These become less troublesome over time if topical treatment is kept optimal.